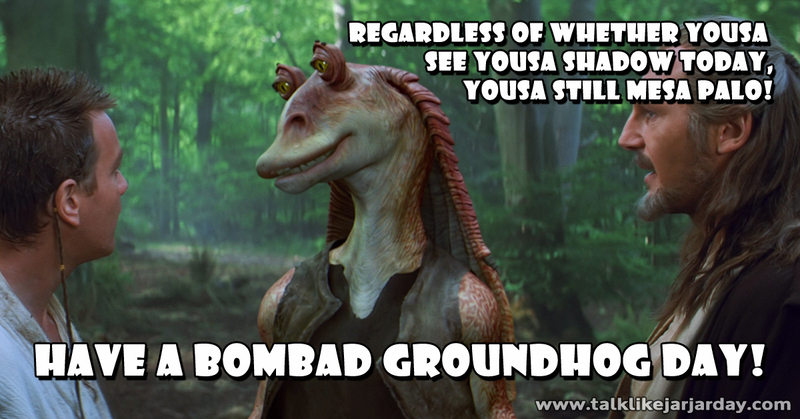 Regardless of whether yousa see yousa shadow today, yousa still mesa palo! 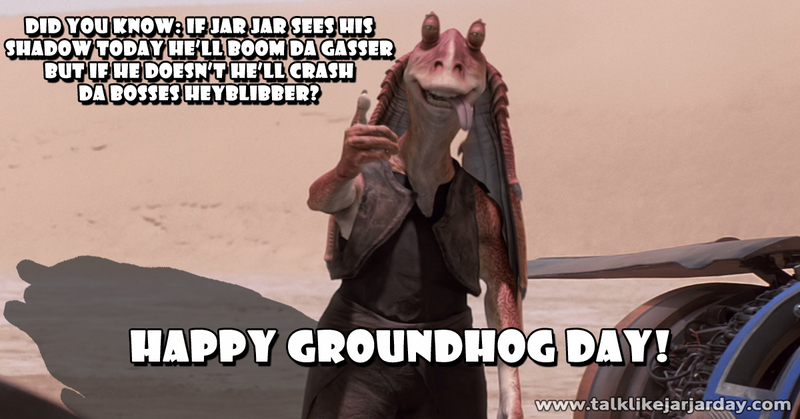 Did you know: if Jar Jar sees his shadow today he'll boom da gasser but if he doesn't he'll crash da bosses heyblibber? 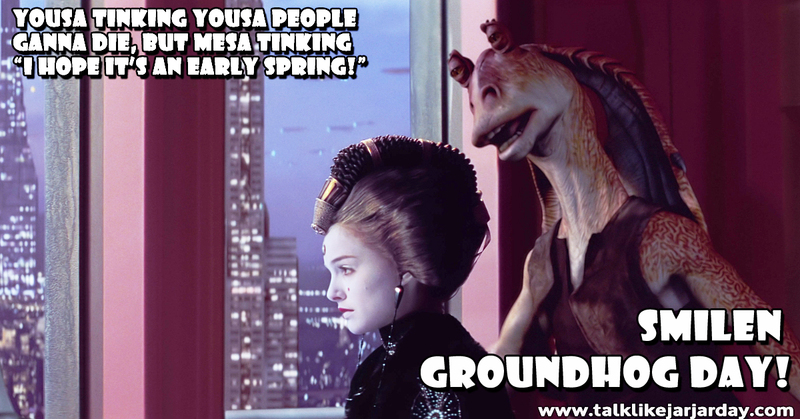 Yousa tinking yousa people ganna die, but Mesa tinking "I hope it's an early spring!"